Cape Town – The South African National Parks (SANParks) has announced that catch-and-release fishing has been approved for visitors in the Augrabies Falls National Park, close to Upington in the Northern Cape. Day visitors may fish in the Orange River area that falls under the jurisdiction of SANParks, between the main gate and reception, in close proximity to the rest camps from 07:30 to 17:00 daily. 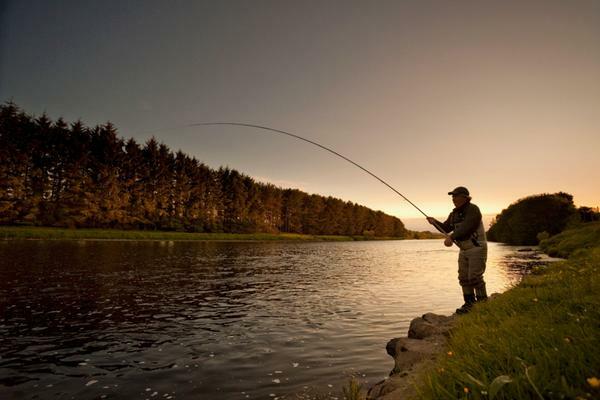 Overnight visitors in the park can enjoy fishing in the park from 07:00 to 18:00 daily. The leisure activity, says Frans van Rooyen for the Augrabies National Park, “is in line with the relevant environmental protected act and regulations”. All fishers should bring their own fishing equipment and tackle, and only two rods per individual will be allowed. “Regular patrols by environmental monitors and field guide will be conducted” to ensure that the catch-and-release concept is implemented, Van Rooyen says. “No fisherman will be allowed to fish without a valid permit, and these need to be collected at reception,” he says. Conservation fees are still applicable. Adults are charged R40 per adult, per day, while SADC members pay R80. Foreign visitors pay R160 conservation fees. Nadia Lemmetuis on behalf of the Arid national parks says Augrabies National Park added the activity because they want to offer tourist “more than just a visit to the falls”. Travellers interested in fishing can the contact reception at 054 452 9200 to book a fishing spot, or for more information.